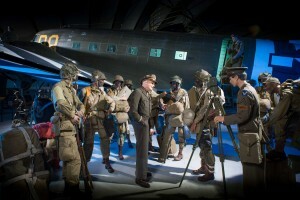 The C-47 on display in the museum came out of the Douglas factory in Long Beach California December 16th 1943. This plane which has a wing span of 29,41 meters and is 19,43 meters long served as a transport for troops, containers for ammunition, food and supplies and towing gliders. During Operation Neptune on the night of the 5th going into the 6th of June a stick of paratroopers of the 101st Airborne are going to jump from it. 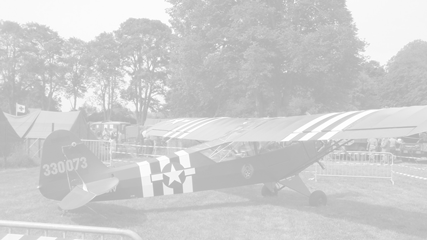 It will have in-tow a glider of the 325th GIR of the 82nd Airbone that it will release on the 7th of June into the Normandy bocage. August 15th 1944, paratroopers from the 517th PIR are going to jump out of it. 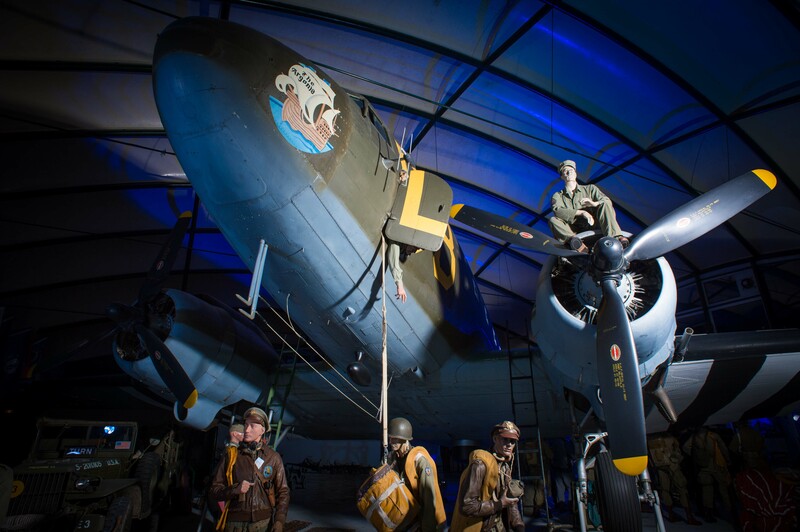 the same day it’ll tow a WACO CG4A glider, on September 17th & 18th during Operation market Garden in Holland it will tow gliders of the 82nd Airborne in the Groesbeek – Nimègue region. 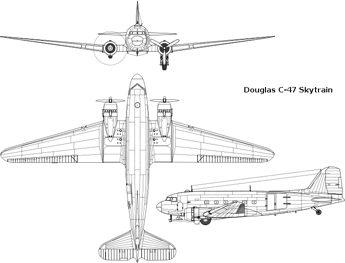 It will be sold in 1946, (turned back into it’s commercial name the DC-3) for commercial use. In 1962 France buys it and transforms it into a trainee plane for future pilots and non-pilots of the French aeronautical aviation, it will be used in this function for 20 years. December 27th 1944 during the “Battle of the Bulge” (in the Ardennes) from it supplies will be dropped to American forces surrounded in Bastogne. The plane ends the war with Operation varsity March 24th 1945 in Germany. Promoter and master of paratrooper ceremonies in Sainte-Mère-Eglise Yves Tarel gets the rights to the plane in 1982 at the end of its contract. Restoration is done in the Atelier d’Aviation de Cuers workshops of naval constructions of Toulon with the help of original equipment. In the absence of information about it’s configuration during WW2 the plane gets the emblematic colors of the C-47 “The Argonia” serial number 4315159 lead plane of the 439th Transport group. On March 28th 1982 the plane does it’s last flight during which Robert Murphy D-Day veteran of the 82nd Airborne and Yves Tarel jump out of it over Sainte-Mère-Eglise putting an end to its career. February 13th 1983, heliported by the United States Army from the Cherbourg-Maupertus airport to its final resting place within the Airborne Museum in Sainte-Mere-Eglise.